Do you amplify your content through Influence Marketing? You’ve written a great blog post. Now you need to get your article seen and read by your target market. But how? Use Influence Marketing. In part three of this three part series on Influence Marketing, I’ll now show you 3 top methods (and a bonus tip) of getting your content shared by your Influencers - and read by their readers. If you missed them, check out part one: how to find your social Influencers, and part two: how to build relationships with social leaders and drive traffic to your blog of my Influence Marketing series. Email vs. Twitter. What’s the best way to pitch? This should be a given. If you want to get your content seen and shared by top social Influencers, create good quality blog posts. Think about it, social Influencers want to keep their own Fans and Followers coming back for more, right? Create the good content they want to share. Reach out to your Influencers with your solid industry know-how, and it’s more likely your content will get shared and seen by the larger niche audience of your Influencers. Quality content also goes a long way in developing trust for you and your brand. Size matters: Keep an eye on your word count. Articles that are longer tend to have more substance, and will be more liked, and shared by your Influencers. Readability: Most readers these days skim articles. (No, it’s not because we don’t read anymore - it’s that there’s so much to read we can’t possibly take it all in!) Format your articles with easy to skim headers, bullet points and images. Bold important content within the body of your article, too. Know your stuff: Write about your area of expertise. Do lots of research to fill in your knowledge, include statistics to back up what you say, and link to other blog posts to give readers further information. Show your stuff: 67% of consumers build trust through images. Including relevant and informative images in your blog posts makes your articles more likeable and shareable, too. If you want your blog posts to be amplified by the power of your Influencers, mention them in your articles. Show you value their knowledge and expertise by quoting and sourcing experts in your niche. Then let your industry leaders know how much impact they’ve had on you (and your own readership) - get in touch to let them know you’ve sourced them. Let’s face it, Influencers like to extend their reach too. Stroke their deserving egos, and they’re more likely to share your article with their fans. Compile a list of best resources for your niche. Follow your leaders’ blog articles through an RSS feed. Set up a social bookmarking site, and compile lists of best articles for a specific industry related topic. Make a blog article summarizing each article , and giving a shout out to the experts who wrote it. When you’re writing an article, give examples from your Influencers. Link quotes and summaries from their blog articles. Mention their names too, of course! It takes time to write a blog post - even for Influential bloggers. Guest blogging offers a mutual opportunity for you and for high page ranking blog sites. Build relationships with Influential bloggers in your niche (both offline and online). Approach Influencers with a pitch to write a blog on their site. Soften the pitch: Build your relationships with your Influencers by connecting with them through social sites, webinars, and their own blogs. Then approach them with a pitch to guest blog on their site. They’ll be much more receptive than if you only contact them when you want something. Reciprocate with bloggers: Offer other bloggers in your niche the opportunity to guest blog on your blog site. Have them reciprocate. This is a great way to develop relationships in your industry, and get more backlinks to your blog site or homepage. Do your homework: When you’re pitching a guest blog post idea - research the Influencer’s site. Would your articles resonate with their readership? Tone your article to so that it will. Make your pitch specific: When you’re pitching, give a summary of your article. Make it specific, and tell why the article would benefit the bloggers’ readership. Show your stuff: Give the bloggers links to your previous articles (which is why you need to be writing quality content in the first place). The better the Influencer knows you and how awesomely you can write, the more of a chance they’ll publish your guest blog post - and future ones too! I’ve been talking about connecting with social Influencers to develop relationships, and get your posts shared. Connecting with Influencers through social sites is a good way to introduce yourself. But is the best way to pitch your articles, or connect with Influencers when you’ve mentioned them? Coming from a background in PR, I know the traditional route has been to contact prospective media Influencers by email and even - get this - the phone. In the past few years, however, I’m finding more successes by pitching through Twitter, and even sites like LinkedIn. Email is still a number one sources of lead generation. But, social sites are the best way to continue to nurture your relationships. Use both and determine what works best for your niche of Influencers. Subject line: Always, always in email, the subject line matters. Make it concise, but witty and intriguing. Use your copywriting skills to the message opened. Personal: Make your emails personal. Even if you’re sending out 20-30 emails with basically the same message - you need to make it personal. Include the blogger’s name. Share what you like about their site. Use a lot of “you” and “me” in the body of your email. Most bloggers get lots of guest blog post requests, so make sure you at least sound like a fan. Specific: Get to the point of your request. Influencers really don’t have all the time in the day to read what you’ve got to say. In your email, get to the call to action. Summarize your article concept. Include links to your previous blog articles (but don’t post them directly in your email, or send them as attachments). Be short: On Twitter, you only have 140 characters to express your request. Keep it to the point. Be complimentary of the Influencers’ work, and be clear about your call to action. Relationship build: Send Tweets to Influencers to request a guest article. But engage with them prior to your pitch. Retweet their articles, mention them in tweets - particularly if you’ve written about them. Carry on the dialogue when you approach them with your guest blogging pitch. Link your work: Send Influencers links to your previous work - just as you would in an email. That way, they get know your talent, and will be more willing to engage with you on their blog too. Getting your articles shared by your industry Influencers amplifies your content, extending its reach to new readers, and potential customers. Build your relationships with top and middle Influencers. Entice them to share your content with great articles, showcasing their talents, and guest blogging on their sites. What do you think? 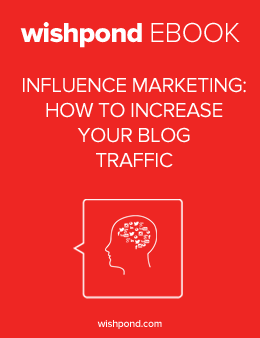 Do you use Influence Marketing? How do you engage your social Influencers to share your content? Do you guest blog? What tips for success do you have?